Special education can be described, defined, and explained in various ways. These different perceptions about special education are due to the diversity of people’s beliefs, orientations and experiences. Special education can be defined as the programs and services provided to students with disabilities and their families. It is a service of the educational system where professionals provide direct instruction and collaborate with others to address the needs of children with disabilities. According to the government, if a child is identified as having one of these conditions, he or she is a student with a disability. It is the purpose of this chapter to assure that all handicapped children have available to them ... a free appropriate public education which emphasizes special education and related services designed to meet their unique needs, to assure that the rights of handicapped children and their parents or guardians are protected, to assist States and localities to provide for the education of all handicapped children, and to assess and assure the effectiveness of efforts to educate handicapped children (20 U.S.C. section 1400[c]). specially designed instruction, at no cost to the parent, to meet the unique needs of a child with a disability, including instruction conducted in the classroom, in the home, in hospitals and institutions, and in other settings; and instruction in physical education (12425). As just mentioned in the various definitions of special education, for an educational program to be appropriate and successful for each child with a disability, it must be individualized. Individualized education programs (IEP), which are required by IDEA ’97, have been developed and implemented to every child identified as having a disability and in need of special education. These individualized plans cover a range of educational, social, and vocational goals of people with disabilities. Although the various types of plans respond to different goals, they all share the same basic principle. This principle is to ensure that school children with special needs receive special education and related services according to their individual needs. The IEP process, also referred to as the IEP cycle, is to include participation of the family, the student, and a team of experts. The formation of the IEP involves six steps. For students who are considered for first time placement into special education, three steps must be completed before the actual IEP is put together: referral, evaluation, and eligibility. In the first step, the child is referred for special education services. The second step is evaluation, to determine whether the referred child has a disability, and whether special education is required, and what types of services are needed. This step is conducted by multidisciplinary teams, which asses the student’s strengths and needs. The third step is eligibility; once it has been determined that the child has a disability, the committee must determine if the child also needs special education. Development of the IEP is step four, which requires decisions about appropriate education, services, and placement. In step five, the IEP is implemented and the program begins. Finally, in step six, the IEP is annually reviewed by a team of professionals and the parents. The purpose of this meeting is to assure that the student is meeting the goals and objectives of his or her IEP. One of the main goals of the IEP is to include students with special needs in general education classrooms for some or all of the school day; this is referred to as mainstreaming (Harry 86). As public school programs became more available and mainstreaming was limited, students with disabilities often found themselves in separate rooms and separate classes, removed from their peers. Today, according to the U.S. Department of Education, all children with disabilities have access to public education. The vast majority (73%) receive their education predominately in the general education setting (Lloyd et al. 159). However, positions about placement vary widely, ranging from support to full inclusion in general education classes to full time placement in center (residential) schools (Lloyd et al. 161). Full inclusion is the interpretation which states that the least restrictive environment for all children with disabilities is the general education classroom. This model of full inclusion has gained momentum since the end of the last century. Under this approach, special education and related service therapies are brought to the child in the general education classroom (Tomlinson 39). Recently, other full inclusion models have gained popularity. For example, team teaching, co-teaching, and consultation/collaborative teaching are now being tried in the schools. In the co-teaching model, general education and special education teachers teach together in the same classroom for the entire day, but students might be pulled out for related services (Tomlinson 61). In the consultation/collaborative model, general education and special education teachers work together to meet the needs of special needs students; students are seldom removed from the general education class (Tomlinson 69). Since special education should always be based on the individual needs of the student, different service delivery options must be available. However, special education is an evolving concept and its service delivery options are constantly changing and expanding. There are two types of special education classes—one is partially self-contained and the other is self-contained. In a special education class that is partially self-contained, the student attends a special class but is integrated into general education classes for a considerable amount of time each day (Harry 102). In this separate class, the students receive special education for more than 60% of their day outside the general education classroom (Harry 102). On the other hand, a special education class that is self contained has the student attend the special class most of the school day and is included in general education activities minimally. There is also an option of a special education center which serves only students with a specific category of disability. Some special education centers offer residential services while others do not. These centers might either be a public or a private separate school facility. Merely being present with peers without disabilities in general education settings is not sufficient to bring about these outcomes.... We have seen too many students with deaf-blindness included with their peers for many hours a day, only to find that no meaningful relationships were developed with those peers, that no psychological sense of community was felt. We believe this is because, like behavioral technology, we have confused a process, or a behavior, with an outcome (Lloyd et al. 266). Experts are not abandoning the concept of integration but are questioning if placement alone can achieve outcome goals. Furthermore, full inclusion could be interpreted as sending a message that the only relationships valued are those with people without disabilities. In short, special education is a fairly new concept. Its main goal is to address the special needs of children with disabilities. The proper way to educate a child with disabilities is by designing an individual plan that will target his or her needs, guided by a group of professionals working with special equipment. Placement is also very important, and it has lately become a controversy between educators and parents. The debate concerns the issue of full inclusion in general classrooms vs. self -contained classrooms for children with special needs. Agbenyega, Stephen and Joseph Jiggetts. &#8220;Minority Children & Their Over-Representation in Special Education.&#8221; Education 119 (1999): 620-632. Harry, Beth. Cultural Diversity, Families, and the Special Education System: Communication And Empowerment. New York: The Teacher College Press, 1992. Kirk, Samuel. The Foundations of Special Education. Virginia: The Council for Exceptional Children, 1993. Lloyd, John, Edward Kameenui, David Chard, eds. Issues in Educating Students with Disabilities. New Jersey: Lawrence Erlbaum Associates, 1997. Mann, Lester, David Sabatino, eds. The Third Review of Special Education. New York:Grune and Startton, 1976. Otto, Sherri, and Arnold Mitylene. &#8220;A Study of Experienced Special Education Teachers&#8217; Perceptions of Administrative Support.&#8221; College Student Journal 39 (2005): 253-259. Samuels, Christina A. &#8220;Private School Hail Changes to IDEA.&#8221; Education Week 24 (2005): 1-24. Tomlinson, Sally. Sociology of Special Education. London: Routledge & Kegan Paul, 1982. Turnbull, Rud, and Melissa Cilley. Explanations and Implications of the 1997 Amendments to IDEA. New Jersey: Prentice Hall, 1999. U.S. Department of Education. (1998) Washington, DC: US Government Printing Office. Zigmond, Naomi. 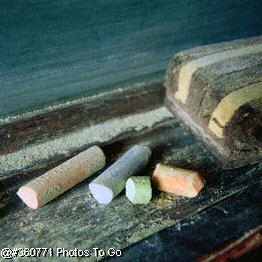 &#8220;Special Education at a Crossroads.&#8221; Preventing School Failure 45 (2001): 70-75.